Following the release of the Department for Transport (DfT)’s latest annual Bus Statistics (p7), Labour leader Jeremy Corbyn has promised to implement “comprehensive, city-wide bus services and much better rural bus services” if he is elected in 2022. Speaking ahead of a planned visit to Derbyshire to discuss bus cuts, Jeremy said: “The Tories said privatisation would improve our buses, but private bus companies are running bus services into the ground, while raking in billions of pounds in profit. However, the Labour leader’s visit didn’t go according to plan. The Trent Barton number 21 bus he intended to use to visit Kirk Hallam didn’t arrive, as the brake pads on some of the operator’s vehicles froze overnight. The Confederation of Passenger Transport (CPT) UK responded: “Private bus operators have invested many millions of pounds on new vehicles and the UK has the youngest ever bus fleet. “Buses on the road are the cleanest and most environmentally friendly we have ever seen, and the UK has one of the most accessible bus networks in the world. “Operators are investing in new technology including on-board WiFi and improved journey information. New payment options are being developed and major operators now offer contactless/mobile ticketing options. These investments far outweigh dividends paid to shareholders. “In the vast majority of cases, cuts to bus services have occurred where local authorities have withdrawn financial support to non-commercial routes. “Returning to a regulated market would put further intolerable strain on those budgets. Bus mileage in London is also showing a reduction, due in large part to increasing congestion which makes bus travel less attractive. 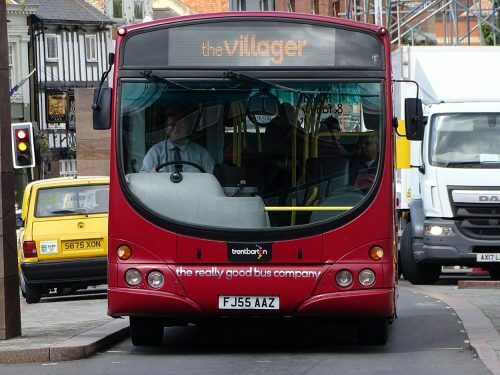 “So far as bus patronage is concerned, recently published research by KPMG shows that increasing road congestion, growth in on-line shopping, and changing work patterns all have a detrimental effect on bus speeds and reliability. These issues are largely beyond the control of bus operators.